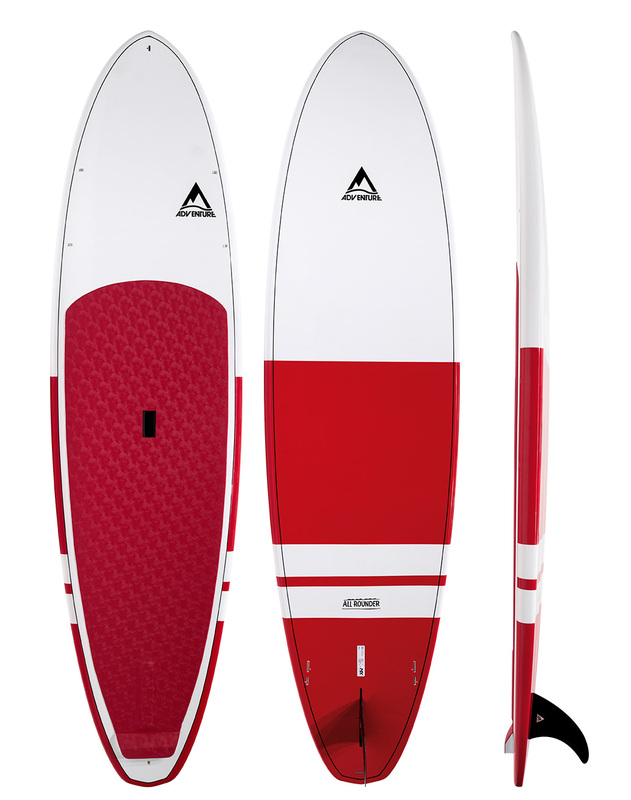 As the name suggests, the Adventure Paddleboarding All Rounder Stand Up Paddleboard (SUP) does it all. 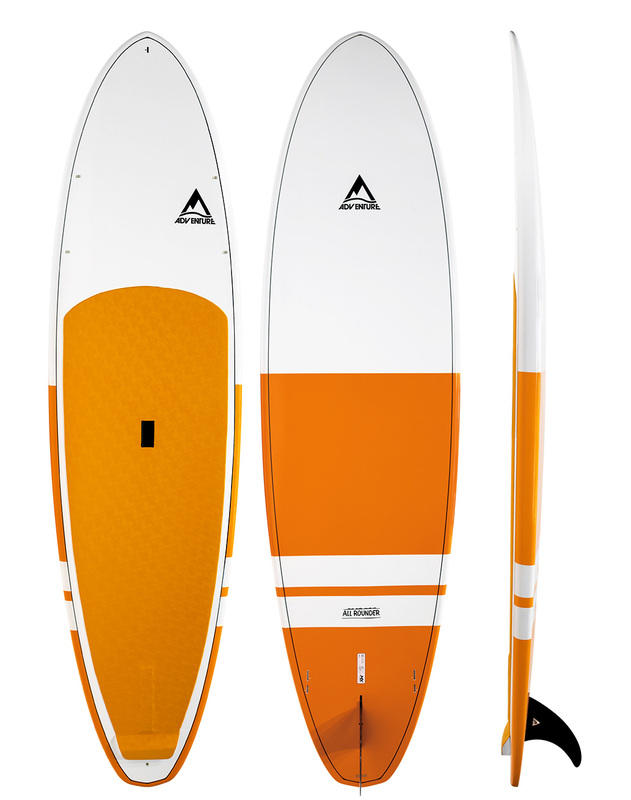 This is a very functional SUP suited to flat water cruising, but it’s also versatile enough to take in the surf. Available in multiple sizes to suit all paddles of all weights and ages, this is an affordable SUP that’s rich in design features and performance. DESIGN: The generous width through the middle, balanced outline, and the low rocker keeps the board sitting really flat on the water. This stability instills a feeling of confidence for all paddlers, and a simple flat-to-double concave bottom also helps the board accelerate quickly and maintain amazing glide and flow in flat water. Subtle lift through the tail allows the board to maneuver smoothly when riding waves. FINS: The well-balanced single fin provides a high single-side stoke rate on flat water; this is great for beginner paddlers because they don’t need to switch sides as much. Add fins to the FCS II side plugs to enhance turning and control when riding waves. 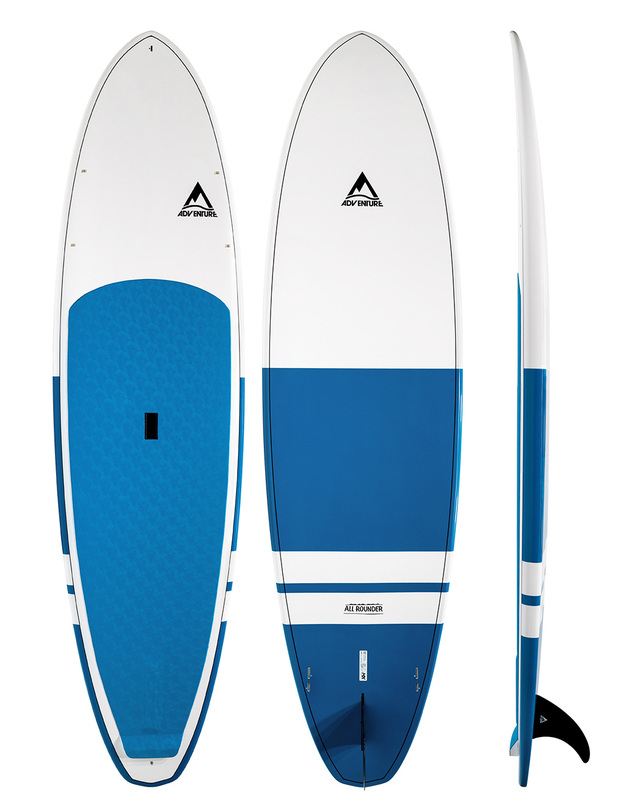 PERFORMANCE: The All Rounder is super stable, making it easy to jump to your feet, start paddling, and within minutes most paddlers find they can comfortably turn and maneuver the board. Representing great value for money in our Molded Epoxy (MX) construction, the versatility of the All Rounder shouldn’t be underestimated. Production weights: 9’6 – 10.28kg / 22.66lbs | 10’6 – 11.3kg / 24.9lb | 11’6 – 12.72kg / 28.04lb. X-1 Epoxy is a simple and effective construction using epoxy resin, woven fiberglass and a lightweight EPS core. The EPS core is cut directly from the shapers files, and once custom shaped, is glassed in the traditional hand layup method with multiple layers of woven fiberglass imported form the USA. 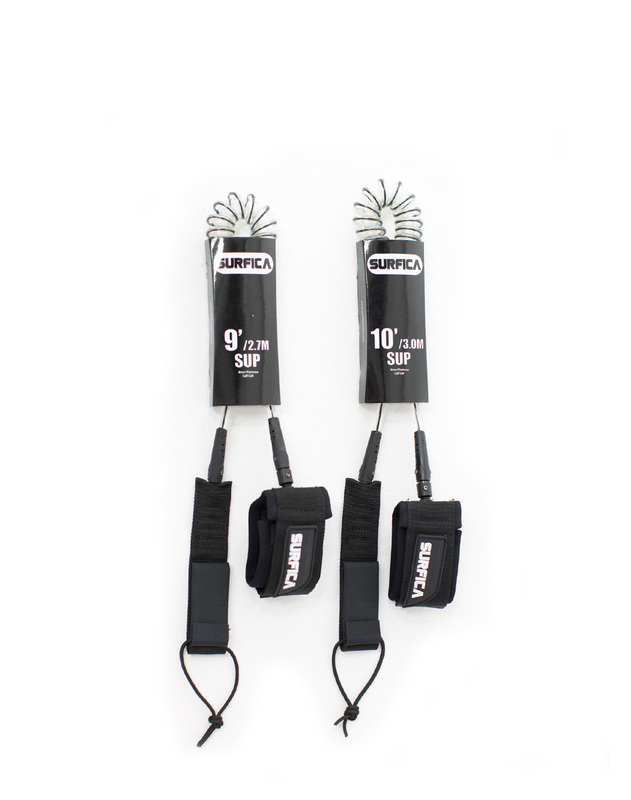 This versatile construction is lightweight, affordable, and is particularly suited to manufacturing SUP’s. X-1 Epoxy boards are most popular for their subtle flex and memory recall properties, which translates into a board that feels light and responsive, and offers reliable performance regardless of the conditions.